I can run out of pretty much everything in the kitchen, even the basics like sugar or flour, but vanilla and lemons are always in stock. 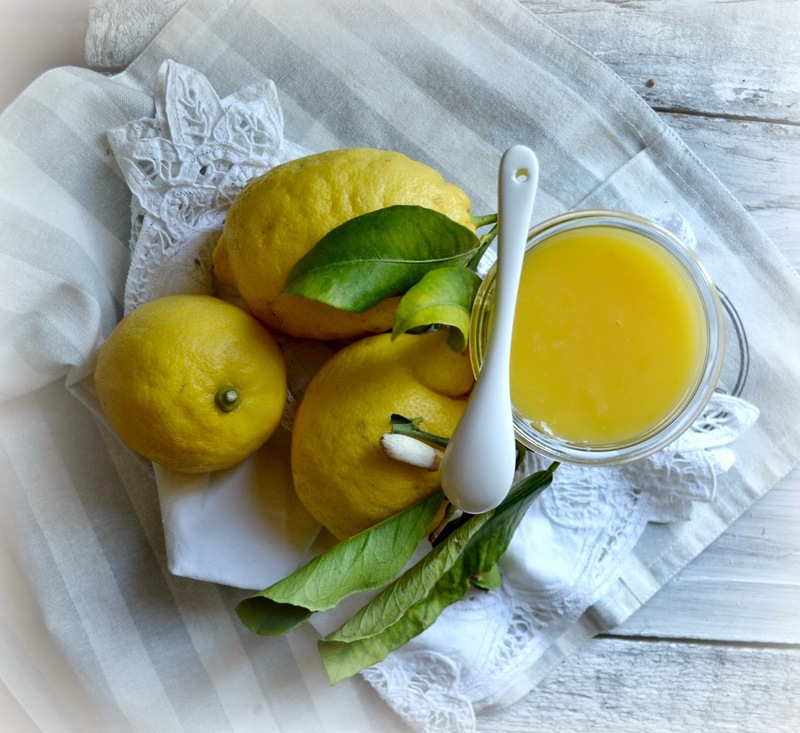 Especially lemons, I probably go through 2 kg of lemons a week; there is always a slice in my glass of water, and as far as I am concerned they make everything taste better, fish, pasta, salads, soups, pastry, desserts, drinks, even bread. It's my dream to have a garden with vegetables and herbs, my favourite fruit and edible flowers - to take a walk through the garden in the morning and decide what to cook based on what's fresh and catches my eye (no, it's not my aim to become the female Nigel Slater, although I like the way he cooks). A Lemon tree is definitely going to be there, kept in a wooden barrel, like in my grandparents house, so it can be moved indoors during the winter. To make sure that it will not remain just a dream and wishful thinking, I decided that I am not going to wait for the perfect circumstances to start growing that garden of mine - so far I managed to make a nice collection of herbs, raspberries are blooming, my nasturtium, borages and carnations are slowly growing as are my courgette and tomato plants. I'm a long way from the allotment/orchard of my dreams, but it feels good to know that I started and that I will not be mumbling to myself while paying for a handful of organic edible flowers at the local market. So, until further notice, I'll keep relying on (super)markets to get my lemons. I am not complaining, just wishing that there were more opportunities I get some juicy Sorrento or Amalfi lemons. 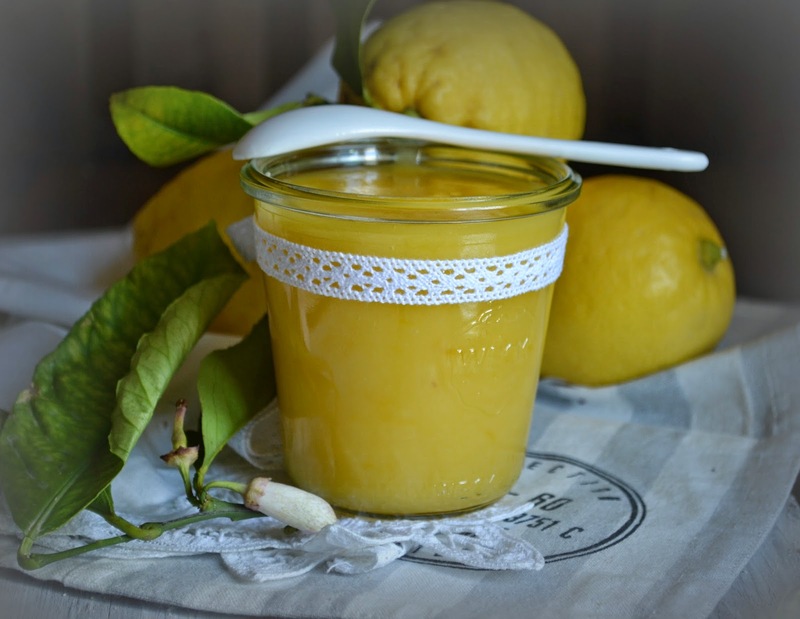 When I do, I like to make a jar or two of lemon curd, which is almost a dessert on its own. Put the lemon zest, juice, the sugar and butter into a heatproof bowl over a pan of simmering water, stir until all of the butter has melted. Whisk the eggs and egg yolk and add to the lemon mixture, keep whisking until well combined, then cook for 10 minutes, or until the mixture is creamy and thick enough to coat the back of a spoon. Set aside to cool, covered with cling film. Spoon into sterilised jars and seal. Too sterilise jars, wash them in very hot soapy water, place onto a baking tray and place into an preheated oven to 160C/325F/gas3 for 15 minutes. Keep it refrigerated, and I'll be back with couple of simple ideas how to use it.